For more information about any of the ministries listed below, contact the parish office and we will connect you with the coordinator of that ministry. Thank you! ACOLYTES: Assist at worship by carrying the processional cross and serving at the altar. Youth 10 years and older are invited to participate. All training is provided. In October, acolytes attend the National Acolyte Festival in Washington, D.C. ALTAR GUILD: Prepare the altar and church for worship services and care for the vestments and altar vessels. CHOIR: Sing at the 10:30 AM Sunday services from September through June and at other occasional services and special events and concerts. Rehearsals are on Sundays and some Wednesdays. YOUTH CHOIR sings every other week and at major services and concerts. Rehearsals are some Wednesdays and some Sundays; their rehearsal schedule allows them to attend the Church School Program. Learn more here. HEALING PRAYERS MINISTERS: Provide prayer support to those seeking prayer for themselves or others. Healing prayers are provided at the 10:30 Sunday Holy Eucharist (or the 9 a.m. service during the summer); those requesting prayers may go to the baptismal font after receiving communion to share their confidential prayer requests with the healing team member on duty. Periodic meetings are held to nurture the spiritual development of the healing team and provide training. LAY EUCHARIST MINISTERS & READERS: Serve as lectors, intercessors and chalice bearers during the Sunday morning and other special services. Responsible for assisting with Holy Communion and reading the lessons and prayers. They also conduct a weekly Morning Prayer service at the Hughes Health & Rehabilitation Center, where they are responsible for leading the service, reading the lessons and prayers and providing a short homily (pre-written homilies are provided if needed). Musicians also participate in the weekly service at Hughes Home by accompanying hymns on piano or another instrument. Each volunteer assists at Sunday services approximately once a month. MUSIC COMMITTEE: Provide significant support to the music director by helping with planning and other tasks for worship and concerts, including the Music at the Red Door concert series. MUSIC AT THE RED DOOR USHERS: Ushers welcome people to St. John’s for concerts and special music events, distribute programs, and respond to needs that arise during the concert. ALTAR FLOWER DELIVERIES: After the 10:30 Sunday service, bundle the altar flowers into bouquets and deliver to homebound or sick parishioners. “JUST CALL” LIST: A list of parishioners willing to be called on for ad hoc needs, such as meals or babysitting for parishioners in need, set-up for special events, and other needs as they arise. Contact the parish manager to add your name to the list. PRAYER SHAWLS: Knit shawls and present to parishioners in times of need or as a blessing. NEWCOMERS & HOSPITALITY: Plan programs to identify, welcome and incorporate new members, including periodic Newcomers Receptions and “A Day in the Life of St. John’s” presentations on St. John’s ministries. 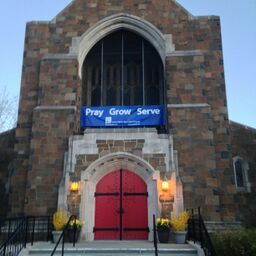 Welcome people to Sunday services and help them connect with others at coffee hour and other church events. Provide resources and training to others in the parish to make hospitality a part of everything we do. COFFEE HOUR: Volunteer to provide food and set-up/clean-up help for a robust coffee hour each week. SACRED CIRCLE: A small group of women who meet monthly to explore the relationship to the sacred and to honor the divine in everyday life. Learn more here. MEN’S BIBLE STUDY: Meet Thursday mornings from 6:30 to 7:30 a.m. for strong coffee and a stronger message. CHRISTMAS FESTIVAL: This popular even is held the first Saturday in December to raise funds to support St. John’s and to promote fellowship within the parish and the wider community. Parishioners make crafts, serve homemade lunches, and offer goods and services for auction and for sale. The choir sings carols during the festival, and there are activities for children. The festival is publicized in the Greater Hartford area and open to the public. MIDWINTER FOOD BLITZ & AUCTION: The auction is held in February as a fun social event featuring food, drinks, live music and food-related items that attendees can bid on through silent and live auctions. Auction items range from delicious cookies and cakes to summer garden parties or theme dinners to be scheduled at a later date. FINANCE & BUDGET COMMITTEE: Prepare draft budgets for the Vestry and give ongoing advice and support for management of the parish budgets and for stewardship. INVESTMENT COMMITTEE: Manage our endowment and investment policies. PLANNED GIVING COMMITTEE: Encourage parishioners to include St. John’s in their estate planning and assist them in doing so. STEWARDSHIP COMMITTEE: Encourage parishioners to make an annual pledge to the church in response to God’s abundant blessings. St. John’s stewardship campaigns focus on grace, gratitude and generosity. HOUSE COMMITTEE: This committee is responsible for the stewardship of our property—for its maintenance, comfort, safety, and aesthetics, and for ensuring that our buildings and grounds are used in ways that support our mission in the world.